I have loved these dirt cups since I was a little kid. My mom used to make them and I always thought they were just the coolest thing! 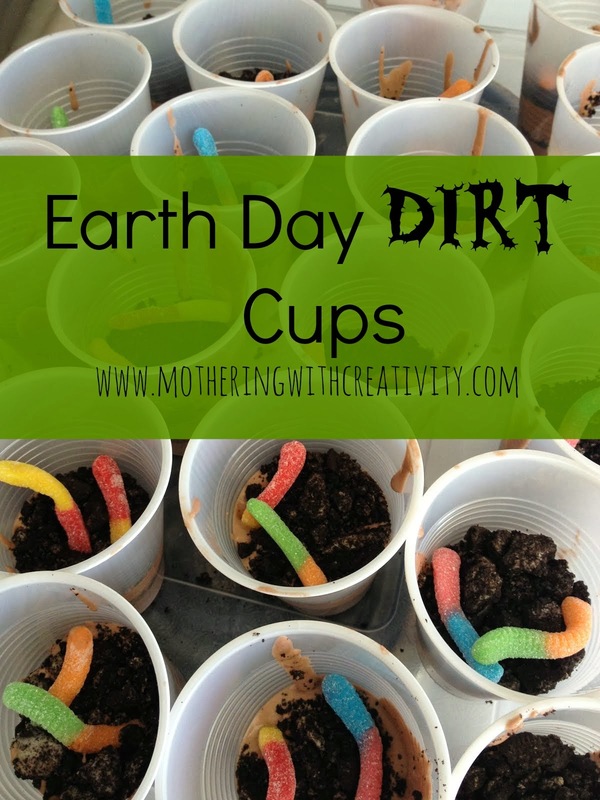 So, today, our Earth day recipe was Dirt Cups! Yum! The pudding serves as the "mud", the Oreo's as the dirt, and the gummy worms as, well, the worms! Place 1/2 a package of Oreos in a Ziploc baggie. 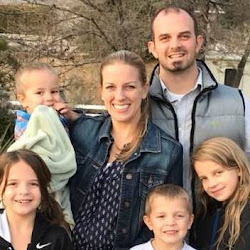 If your kids are helping you, you may want to put a few Oreos each in several bags so they can all participate! Crush them up with your hands or with a rolling pin. We leave the cream filling in, but you can scrape it out if you don't want the white in there. We crush ours until they are in small pieces or crumbs. Small chunks of the cookies are okay. In a bowl, whisk together the pudding, milk, and about 2/3 - 1 whole tub of Cool Whip. Allow it to set for about 2 minutes to thicken a bit. Stir again. Now, in your clear cups, have your little helpers aid you in layering pudding and Oreos until you run out. We typically are able to make 2 layers of each. Finally, top it all off with some gummy worms! We have also done gummy bugs (I can usually find them at WalMart), which the kids enjoy, too. Refrigerate until you're ready to eat them! Note: The Oreos will get soft if these sit for a long time. We don't mind next-day dirt cups, but if you want your Oreo's to be crunchy, you'll want to wait to make these until just before you want to eat them.